I don’t know about you, but come Winter time, I get extremely lazy with my outfits. I start to throw on whatever is comfiest and warmest and I tend to not even look in the mirror, ha! The shoes that come with snow and rain are not always the cutest and sometimes its hard to figure out how to dress them up. Sometimes you’re headed into work, dinner, events, etc. where the attire is dressier, but your shoes don’t match that description. 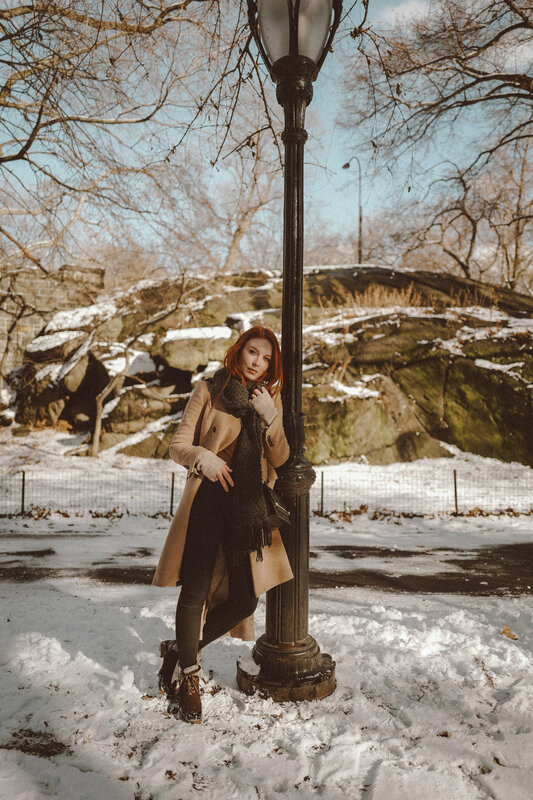 So I wanted to create a “how-to” blog post showing how you can dress up your winter boots! I chose two different shoes from DSW and kept in mind the conditions I have here in NYC. And I actually got to test them both out in the snow! With the Muk Luks Jandon Bootie my feet stayed incredibly warm AND the traction was amazing. I wanted a boot that could do both. Keep you warm and comfortable through crazy winters, but also be stylish enough to dress up and pair with a lot of things. I think that the right amount of layers can dress up any look (and keep you warm). So I started with my skinny jeans and olive top. I then added a long cardigan to give the look more depth. Its also important to find the best accessories! So I added a simple black belt and my heavy knit grey scarf. 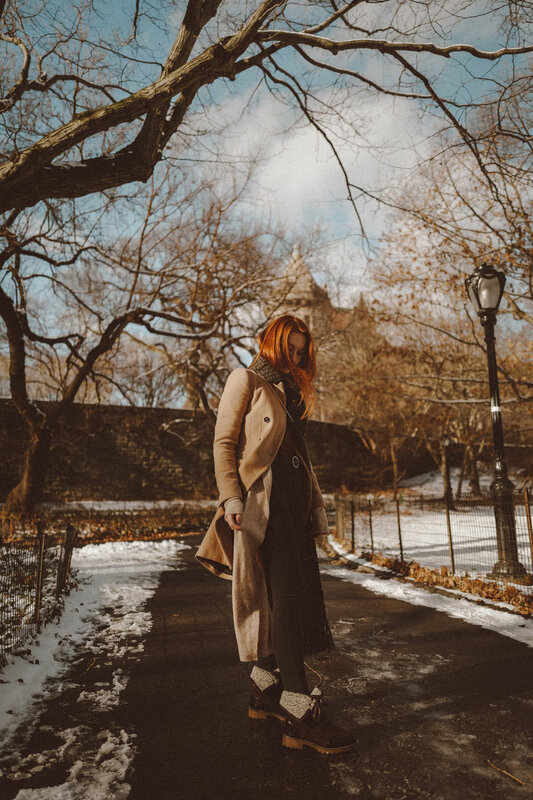 Another item that can easily dress up your look is a peacoat/cocoon coat! You could throw it on with sneakers and it will elevate your outfit. These boots had a lot of fun neutral colors I could tie in with my outfit, so although I’m wearing tan, black, grey, and olive, it all blends together nicely! This look could be great for a long day at the office or errands around town. For my second pair, the Bernardo Zoe Rain Boot, I wanted to go in a completely different direction. These shoes were made for the rain+snow and they’re pretty heavy duty. I wanted to play with how edgy they looked. So I took my favorite leather skirt and paired it with tights, a cozy turtleneck sweater, heavy oversized coat, and a beige beanie! This look could be perfect for going out with friends or parties/events. You could also switch out the skirt for a pair of skinny jeans and add some more layers. Add some leather gloves and your favorite handbag and you’re good to go! You can find both shoes linked below! I would love to see how you dress them up!